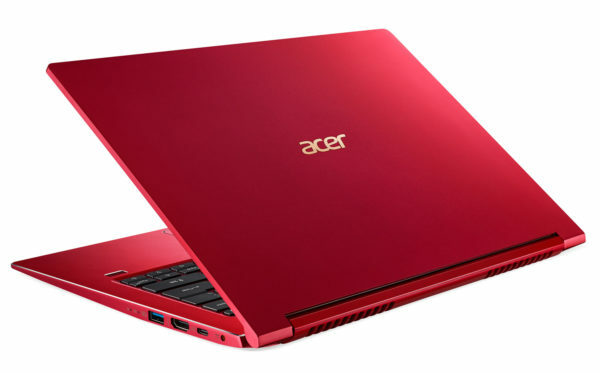 Its bright red case is what we notice first of the Acer Swift 3 SF314-55-53Z7. 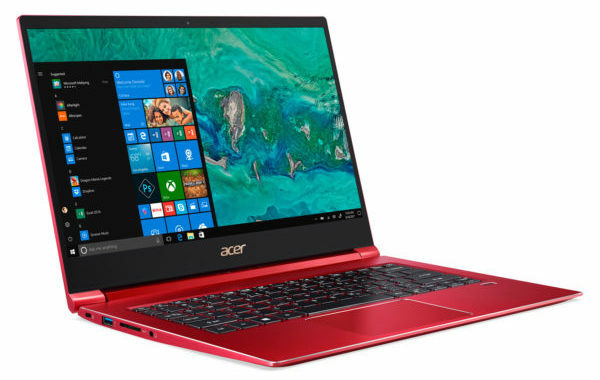 Then, it\’s its small nomadic format and its beautiful 14-inch borderless screen that captures the attention as well as its beautiful office and multimedia capabilities. Its base is vivacious and last generation and all the amenities are there: backlit keyboard, 10h battery life, biometric reader, metal chassis … Small less, the RAM is not scalable and the screen lacks brightness . Placed between the Swift 3 SF314-54 and the SF315-56 in term of name, it is the SF314-55 which has the most recent chassis with fine and light bias. Made from aluminum , this new case is solid, well assembled and sports a more angular silhouette with subtle finishes like the brushed effect around the keyboard, the Acer logo on the pink back and the chrome bevelled edges around the base. touchpad. Here, the Swift SF314-55-53Z7 is dressed in a new red color that should emulate. The keyboard is backlit in white and makes typing easier in the dark. 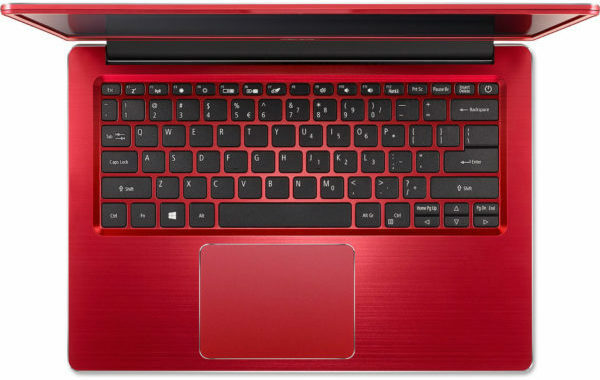 Renewal question, it is especially the format of the ultrabook which was revised and corrected. If the size remains the same (323 x 228 mm), the Swift 3 SF314-55-53Z7 loses about 4 mm in thickness ( 14.9 mm ) and about 15 grams on the scale ( 1.35 kg ). At the opening, we immediately notice its beautiful full HD IPS screen with 6 mm side edges . It uses a dense definition Full HD (1920 x 1080 px) that allows you to make the most of High Definition content while the IPS slabpromotes immersion with a display perfectly readable from any angle of approach and a balanced colorimetry. 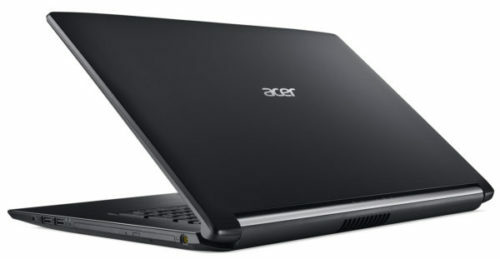 Acer preserves its matt ComfyView slab, more visibility if you are working outdoors or traveling by train, for example. Connectivity is distributed on the sides of the case and accommodates all the necessary in standard formats. There are three USB ports including two USB 3.1 and a versatile USB Type-C , an SD card reader, an HDMI output and a biometric reader (under the keyboard, right) to secure your data and authenticate to your session with a simple touch of the finger. The Wifi modules AC and Bluetooth 5.0 of last generation are also on the menu. In addition to its charming design, this ultrabook is also characterized by a powerful heart. The latest-generation Whiskey Lake i5-8265U Quad Coreprocessor will gain a bit of performance compared to the Kaby Lake Refresh generation (i5-8250U) thanks to a higher Turbo Boost frequency. In fact, the PC will take care of the current use (Web browsing, Office processing, video) and show a sharp mastery in more greedy applications, requiring multicore architecture (video editing, Photoshop pushed, Lightroom …) . In addition, the 8 GB RAM is present in satisfactory quantity to ensure a fluid multitaskingenvironment . The storage is more traditional but no less valuable, entrusted to a dedicated 256 GB SSD that will ensure a perfect responsiveness of the system. Overall quieter, more robust, and more energy efficient than a mechanical drive, it allows Windows to achieve a remarkable level of fluidity with short loading times and latency-free operation. However, its storage capacity of 256 GB will not be able to contain all of your toy library. It will then turn to an external solution or online to keep at hand all your archives. Finally, autonomy is still part of the arguments of the Swift 3 and totals here nearly 10 hours in web browsing with active WiFi. It\’s satisfying and perfect for nomads.